D.O.C. Pizza and Mozzarella Bar seems to have been around for ages and it has been one of those places where we've always had good intentions of visiting but never got around to it. Trouble is that list of places to visit just seems to keep growing. As we found ourselves wandering the neighbouring streets with lunch on minds, we decided to plunge in and wittle down that list starting with DOC. We're not after a huge lunch so we're settling on pizza and we're opting for two classic types as our theories are that if you can't do the basics, we're not going to bother with the rest. 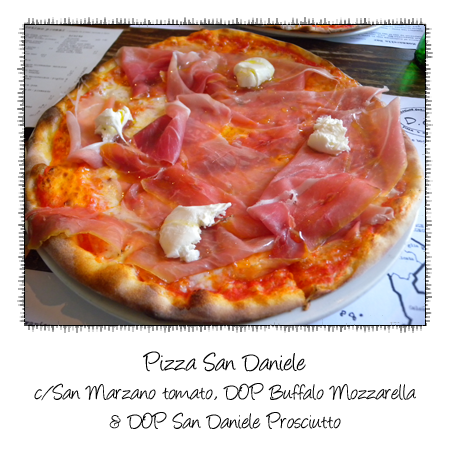 Our first choice utilises the other thing DOC is known for, Buffalo Mozzarella. It's a pretty good pizza - the base isn't doughy, it's fairly thin, the tomato topping isn't too liquid or too heavy. This is a funny sort of criticism to have, but there's almost too much Prosciutto on it. 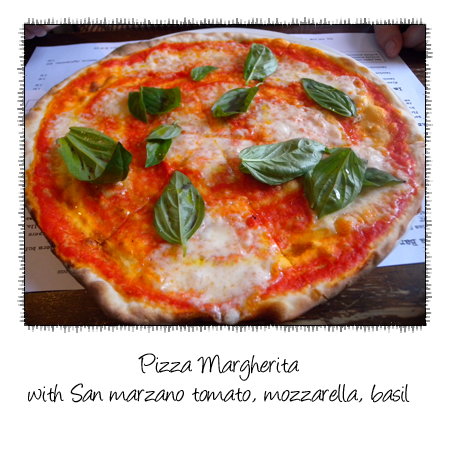 Loved all the fresh basil leaves scattered over the top, the way it interacts with the tomato and cheese is magic. I think this base was even better than the previous one, a touch thinner. Based on these two, we'd come back for a more substantial meal and to try out their mozzarella and antipasto offerings. Oh yes, DOC is one of my favourites, particularly before or after a movie at Cinema Nova. 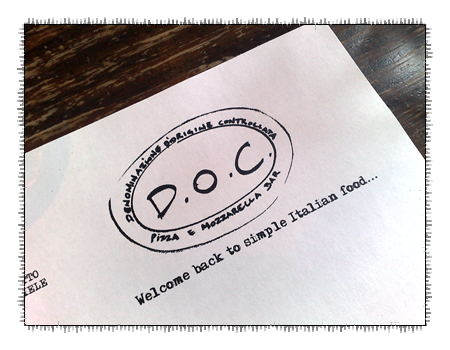 The pizzas are worth the wait (they get really busy on weekends).